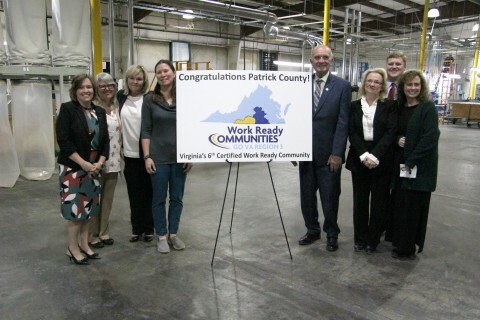 Patrick County and the Dan River Region Collaborative (DRRC) are pleased to announce that Patrick County has been designated as a certified Work Ready Community (WRC). The nationally recognized designation by the Commonwealth of Virginia and American College Testing (ACT) will help Patrick County attract new businesses and jobs in addition to strengthening the skill sets of the region’s high school students, job seekers and incumbent workforce. Partners like the DRRC, the West Piedmont Workforce Development Board, Patrick Henry Community College, Patrick County Public Schools and regional employers supported Patrick County’s efforts to achieve this important national certification. Some of the supportive regional employers include Ten Oaks, Narrowflex, The Results Companies and Capewell Aerial Systems, LLC. To become certified, a locality must achieve benchmarks in three areas of performance: high school graduation rate, number of National Career Readiness Certificate (NCRC) credentials attained in the locality and number of employers recognizing the NCRC. 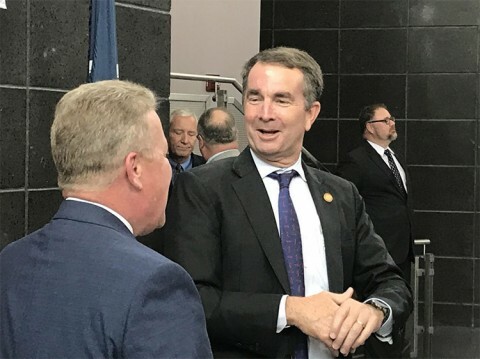 RICHMOND—Governor Ralph Northam today announced that Essel Propack, a global specialty packaging company serving the consumer goods and pharmaceutical sectors, will invest $31.2 million to expand its manufacturing facility in the City of Danville. Virginia successfully competed with Brazil and Argentina for this project, which will create 45 new jobs. Essel Propack is a publicly-held company headquartered in Mumbai, India. Founded in 1982, the company produces a wide range of multilayer collapsible tubes and laminates used for packaging in personal care, food, pharmaceutical, and industrial applications. Essel Propack employs over 2,850 employees worldwide, including 252 at its first and only U.S. manufacturing operation in the City of Danville. The expansion will allow the company to double production at the Danville facility through the introduction of new Super High-Output tubes (SHOT) technology. A United Kingdom-based manufacturer will invest $8 million to build a plant and bring 49 jobs to the Dan River Region over five years. Harlow Group Ltd. will locate its first U.S. manufacturing plant in the Cyber Park in Danville. Founded in 1975 and based in Harlow, U.K., the company offers services ranging from product design to production of sheet metal products. Its customers include GE, Pitney Bowes, Raytheon, Sony, BF Goodrich and Lotus. The company will build a 30,000-sqaure-foot facility and operate in Danville as Harlow Fastech. It will be in the Hawkins Building at the Institute for Advanced Learning and Research during construction. In addition, the company will establish a U.S. Training Center of Excellence, a new facility that will focus on additive manufacturing. 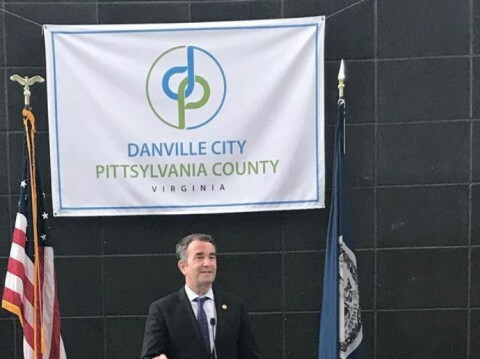 Governor Ralph Northam was in Danville Thursday where he announced that a manufacturing plant is investing $8 million to locate it first U.S. precision sheet metal fabrication plant in the City of Danville and Pittsylvania County. Harlow Group Ltd. is a United Kingdom-based company that will establish a U.S. Training Center of Excellence, a new facility with a focus on additive manufacturing, which will be located in the Danville-Pittsylvania County Regional Industrial Facility Authority-owned Cyber Park. Virginia successfully competed against Alabama for this project, which will create 49 new jobs. A new manufacturing facility is coming to Southside. The Harlow Group will establish its first U.S. manufacturing facility in Danville. The $8 million investment will create 49 jobs over five years. "Good paying jobs that I believe are about $20,000 higher than the average in this area. What tremendous news this is," Gov. Ralph Northam said, making the announcement at the Institute for Advanced Learning and Research in Danville Thursday. 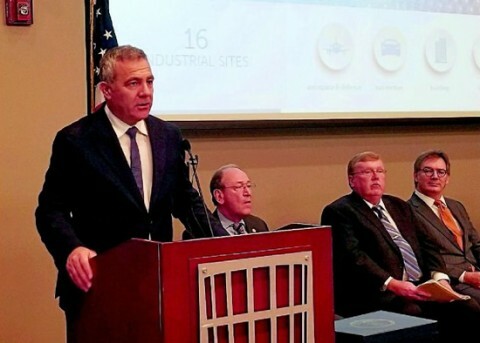 A UK-based manufacturer has chosen Danville for the site of its first U.S. plant, economic development officials announced Thursday. Harlow Group Ltd., an advanced manufacturer of highly engineered assemblies, fabrications and precisions metal work services, will house its operation in the Danville Cyber Park. The company expects to invest $8 million to build the manufacturing plant and create 49 jobs, according to a news release. Harlow Group, LTD will spend $8 million to expand its operations to Danville. The company will construct a 30,000 square-foot facility in the Danville Cyberpark, employing 49 workers over the next 5 years. Gov. Ralph Northam said the company will pay a wage that is “about $20,000 higher than the area average.” The company will pay an average annual wage of $55,000. Danville Mayor Alonzo Jones noted the irony of textiles returning to Danville on Tuesday, given the region's history with the industry, while announcing a business promising jobs in the eastern part of the city. BGF Industries — a subsidiary of the French company Porcher Industries — plans to relocate its U.S. headquarters to the Dan River region from Greensboro, North Carolina. The move is touted to bring 65 new jobs to the area. And the average pay for those positions will be $75,000, Del. Danny Marshall, RDanville, said to multiple rounds of applause from the podium. RICHMOND—Governor Ralph Northam today announced that BGF Industries, Inc., a leading U.S. manufacturer of high-performance technical fiber materials for global markets, will invest $7 million to relocate its corporate headquarters and R&D operation from Greensboro, North Carolina to the City of Danville and Pittsylvania County. The company will initially construct a 25,000-square-foot facility in 2019 in the Danville-Pittsylvania County Regional Industrial Facility Authority-owned Cyber Park for its headquarters and research and development facility. A new company is coming to Pittsylvania County and bringing some new job opportunities. Hon. 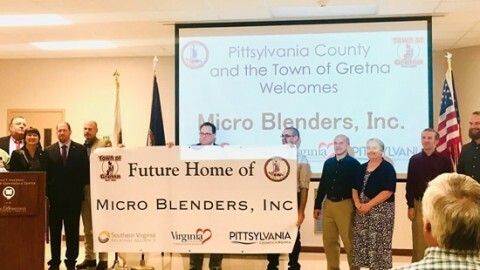 Bettina Ring, Virginia Secretary of Agriculture and Forestry, announced that Micro Blenders, Inc., a subsidiary of Pennsylvania-based QLF, Inc., will invest over $3.5 million to establish a new additive feed manufacturing operation in Pittsylvania County. "I am proud to support the investment of QLF, Inc, to establish a manufacturing operation in Pittsylvania County, the largest county in the Commonwealth. Their expansion will bring new jobs to the region and strengthen the manufacturing and agricultural sectors that are vital to our rural economies," she said.